We are living in a world where trust matters. Not just trust in the news and information we receive...but trust in who gives it to us. Media outlets are coming under vicious attack, often by politicians, angry about being held accountable. Donald Trump rails on and on about fake news, even though he readily dishes it out and lies on a frequent basis. In addition, we watch and consume cable, broadcast and digital news and see the appalling lack of diversity and inclusion, which easily shows up in the stories we don’t hear about. Stories we know matter. Personally, it has been tough to watch TV news over the last six months since the cancellation of my daily morning news show. Not because I’m not interested. But because of what isn’t being discussed. And who isn’t being heard. And what is happening and how it affects not just those on Main Street but also on MLK Street. Last week, the political world was stunned when Alexandria Ocasio-Cortez, a 28-year-old first time candidate, beat longtime Democratic incumbent Joe Crowley, in the New York congressional primary. Her campaign was ignored by traditional media outlets, which just assumed the powerful Crowley would coast to victory. That’s simply media laziness and taking the public for granted. We see that all too often. We saw it last year when traditional news outlets rushed to interview Black women who hit the ground hard to elect Doug Jones to the U.S. Senate in Alabama. But how many of these same outlets would have interviewed those sisters BEFORE the election? They were struggling to have their voices heard and getting their message out to raise money to fund their endeavors on the ground. I talked to them on the Tom Joyner Morning Show and TV One, but here we are today, just a few months out from the mid-term election, and where will the Dejuana Thompsons and Adrianne Shropshires and LaTosha Browns and Stephanie James’s and Melanie Campbells and Rosa Clementes go to raises their voices BEFORE the election? What about the awesome working being done by our civil rights groups like the NAACP Legal Defense Fund and Lawyers Committee for Civil Rights Under Law? We need to hear from them DAILY regarding the vital work they are doing to counter the shameful efforts to deny us the right to vote. They are filing critical lawsuits. Unfortunately, they are not getting much attention. Rev. Dr. William Barber and others are picking up the mantle of Dr. King and the Poor Peoples Campaign, and mainstream media is essentially ignoring their massive mobilization and direct actions nationwide. A broad coalition of folks from different races and religions are fighting for the people, but mainstream media doesn’t care to highlight their concerns, as well as the campaigns. I can go on and on, but you get the picture. Over the last six months, so many of you have stopped me in airports, train stations, on the streets, in barbershops, and at numerous events to tell me you miss TV One’s NewsOneNow, and what we did every morning for four years mattered. I’ve had millennials, Gen X’ers, Baby Boomers, preachers, teachers, CEOs, entertainers, sports figures, men and women, some in tears, tell me how much they learned each day, and how vital it was to start their mornings with news and information for us and by us. That’s why I’m proud, excited and humbled today to announce that on September 4, I will launch a daily digital show that will give a voice to the voiceless and speak truth to power on the issues of the day. This is #RolandMartinUnfiltered. 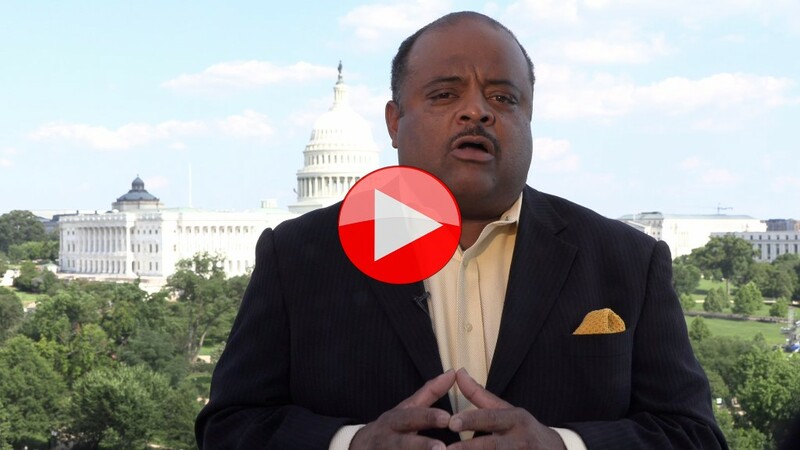 WATCH the #RolandMartinUnfiltered launch announcement. Pretty cool, huh? Those voices in that song may sound familiar. That is Terry Ellis and Cindy Herron of EnVogue. The song was produced by Slikk, and I'm proud to have their support. #RolandMartinUnfiltered will be a daily show broadcast from Washington, DC, that will focus on news, politics, culture, entertainment, social justice, sports, education, business, and finance. If it’s important to you, we will cover it. You will be treated to some of the top minds in education, public policy, and academia, discussing the news of the day and why it matters to us. We will also hit the road and broadcast from cities across America, holding town halls and forums to hear what the people – not just the DC pundits – have to say. You will see one-on-interviews with authors, artists and other top names, going deep to get at what matters to us. We will also do something different: you won’t just see it once a day. We will stream the show live, and then re-stream it several times over a 24-hour period and make it available for video on demand. In addition, we will offer a video and audio podcast of the show. And we are in discussions with several TV stations across the country that wants to air it in select markets. But there’s more. #RolandMartinUnfiltered will also live stream speeches, summits, conferences and other events to our audience. There are a lot of things happening every day across the nation that mainstream America simply ignores. Because of today’s technology, we will be able to bring you these events – unfiltered. You can also expect to see and participate in these live events across the country, such as town halls, one-on-one interviews, as well as pop up events. My team has done this for the past six months, broadcasting speeches, lectures and rallies from all across the country, as well major events such as Operation HOPE’s Global Hope Forum; the 50th anniversary commemoration of the assassination of the Rev. Dr. Martin Luther King Jr. in Memphis; and weekly demonstrations of the Poor Peoples Campaign. In July, we will broadcast live from Essence Festival, the NAACP national convention in San Antonio, as well as the Jeffrey Osborne Celebrity Classic in Connecticut. This will truly be a digital experience like no other. And the great thing about #RolandMartinUnfiltered: everything will be interactive. You will get to comment in real time and share your thoughts and views, and in fact, we will incorporate your videos about the news of the day. #RolandMartinUnfiltered isn’t just about me. It’s also about you. This is why we want this to be Powered By The People. I want to thank Lee Saunders and the American Federation of State, County and Municipal Employees for coming aboard as our first corporate underwriter. Their contribution has been vital to get us to this point today, and we look forward to a great partnership. And I can’t wait to share some of the other folks we are talking to, once we finalize those deals. But when I say powered by the people that also means YOU! This show won’t require a cable subscription or be hidden behind a digital pay wall. We will initially live stream the show every day on Facebook, Periscope and YouTube, and make it available to everyone for free. You will be able to watch it anytime on your phone, tablet, computer or television. This is truly a post-cable digital media show. That’s why I’m also launching the #BringTheFunk Fan Club, where our aim is for at least 20,000 supporters to contribute an average of $50 a year, to ensure that we will able to deliver the news you want and need, that is independent. We have several funding levels for those who want to give more. Your support is vital. Yes, we will have advertisers, but we have to be willing to fund our own news source if we want to them to be free and independent, and to speak to our issues with clarity and conviction. So right now, go to RolandMartinUnfiltered.com, where you can join the #BringTheFunk Fan Club today and become a charter member. In addition, our fan club members will be entitled to discounts on books, merchandise, as well as exclusive invites to Roland Martin Unfiltered events that we put on around the country. Plus, your name will be listed on our website as a charter member. Why must we have an independent platform like #RolandMartinUnfiltered? Because that has been what has gotten us through all these years in America. It was the great Ida B. Wells used the power of her pen to fight against lynching, even as she faced mobs that wanted her killed. But today, we’re seeing fewer voices of color in radio, television and online media. Not just on the air but owning. Here we stand 25 years away from the year 2043, when America will become a nation that is majority people of color, and we are still depending on someone else to tell our story. That, folks, can NEVER happen. We must always be in control of our narrative. Now is the time for us to speak truth to power. Now is the time for us to control our narrative and have a voice that represents our interests and concerns. Now is the time to fight against fake news and the folks who wish to do our community harm. Go to RolandMartinUnfiltered.com NOW for more details; to become a charter member of the #BringTheFunk Fan Club; and beginning September 4, let’s mark a new chapter for an independent news source that, in the words of the late, great Congresswoman Shirley Chisholm, is unbought and unbossed!